Feel Good Feb was created to encourage and inspire people to initiate random acts of kindness for their fellow community members. There has been extensive research to prove that ‘giving out good’ not only benefits the receiver but also increases the happiness of the giver. There’s mental happiness and physical benefits for all involved. It is a win-win situation! In our fast changing world, there seems to be a lot of negative news that we are exposed to. 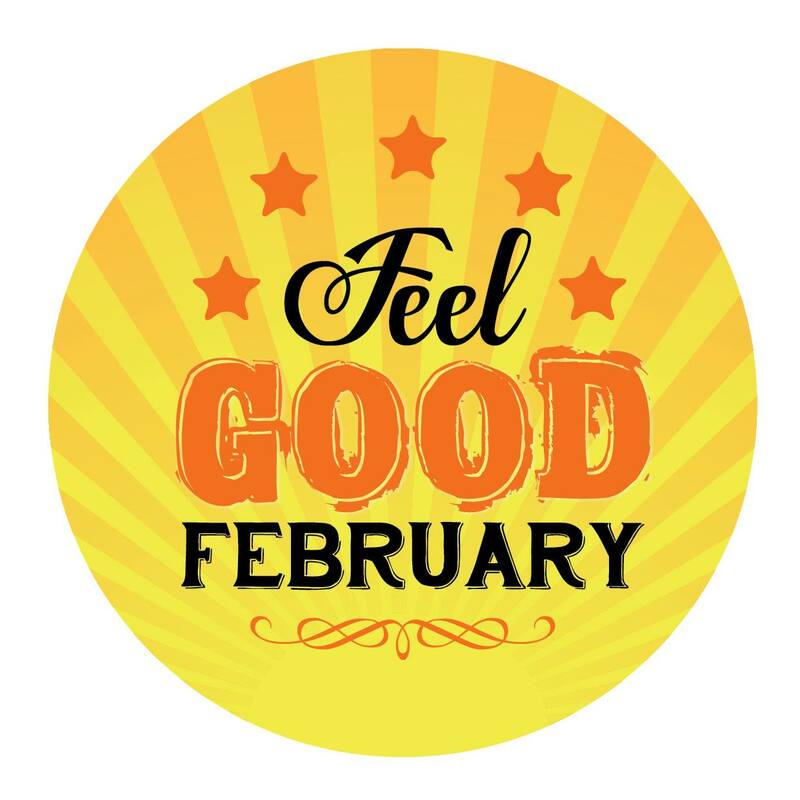 Feel Good Feb is here to bring a ray of brightness and light into the world – and it’s done by YOU. We would love people to have the intention and take the time to simply ‘lift the vibe’ of those around them. One random act of kindness (RAK) can bring a smile to someone’s face. No matter how big or how small your RAK is, you will be helping make someone’s day that much better.You can literally change their life just by being kind. Then in turn, maybe they will do a kind deed for someone else. Kindness will flow organically, creating a ripple effect of happiness. Let’s counteract the negative by being proactively positive! Feel Good Feb’s mission is to spread the word and to keep on doing RAK’s not only in February but all year long. To support like minded organisations. What better way to start the year (after the joy of Christmas and the holidays of January) than to leap back into the world continuing the goodwill? If people do random acts of kindness in February, we are hoping that it will become a habit and RAK’s will continue throughout the year! 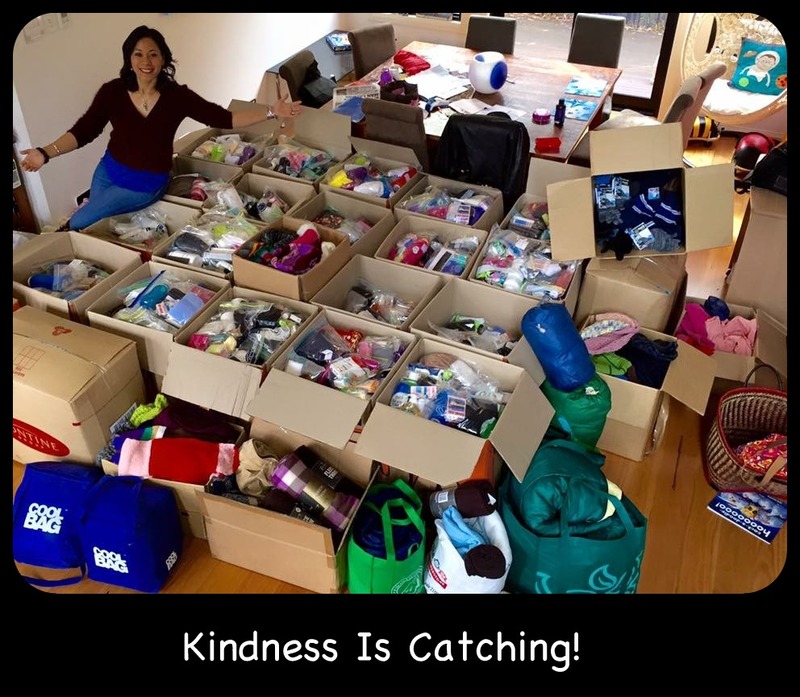 Linda Pang – wife, mum, published author, primary and special education teacher and founder of Feel Good Feb and Kindness Is Catching. Linda is the Goodwill Ambassador for World Kindness Australia. FGF is a month-long initiative encouraging people to perform random acts of kindness for others in the community. For 2015’s inaugural event, Linda drew up a list of 22 cost-free kindness ideas. In preparation for the month of February, Linda invites her family and friends to join her in painting canvases, one for each day of the month. Every day in Feb, Linda goes to a public area such as a bus stop, ferry terminal, park etc and leaves a painting with a FGF Kindness Card as a gift for a stranger to pick up and take home. Paintings have been left in Sydney’s city, Northern Beaches, Inner West, Northern Suburbs, South of Sydney, Western Sydney and in the Eastern Suburbs. It is her way of putting smiles on people’s faces. Alongside Feel Good Feb, Linda established Kindness is Catching, launched in May 2015. The Kindness Is Catching facebook page communicates initiatives by Linda and others, for showing kindness and is dedicated to helping people less fortunate than ourselves. One such community initiative was the KiC Winter Care Kits and Warmies, the first project in the winter of 2015 involving Sydneysiders. Care kits and warm items such as scarves, beanies and gloves were collected from the community and distributed to homeless people in Sydney to assist them throughout winter. The end result was an astounding 839 Winter Care Kits and over 400 beanies, scarves and pairs of gloves distributed in June. The KiC winter project continued, with well over 1000 Winter Care Kits and Warmies collected each year, and distributed to those sleeping rough in 2016 and 2017. More info can be found just follow this link.